Frank Lewis was born in 1944 in Ft Devens, Massachusetts. He entered Officer Training School on July 5, 1967, and was commissioned a 2nd Lt in the U.S. Air Force at Lackland AFB, Texas, on September 29, 1967. Lt Lewis completed Undergraduate Pilot Training at Moody AFB, Georgia, in December 1968, and F-4 Phantom II Combat Crew Training in September 1969. His first assignment was as an F-4 Pilot Systems Operator with the 435th Tactical Fighter Squadron at Ubon Royal Thai AFB, Thailand, from October 1969 to November 1970, followed by service as a B-52 Stratofortress pilot with the 441st Bomb Squadron at Mather AFB, California, from November 1970 until he was forced to eject over North Vietnam and was taken as a Prisoner of War while deployed to Southeast Asia on December 28, 1972. After spending 92 days in captivity, Capt Lewis was released during Operation Homecoming on March 29, 1973. He was briefly hospitalized to recover form his injuries at Travis AFB, California, and then served with the 9th Strategic Reconnaissance Wing at Beale AFB, California, from September 1973 to May 1976. 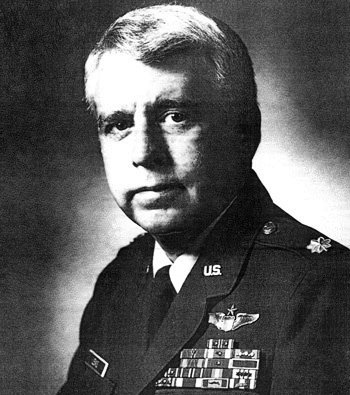 Col Lewis then completed an Air Force Institute of Technology assignment to complete his graduate degree in engineering physics before serving as an engineer in the Laser Signal Intelligence Group at Wright-Patterson AFB, Ohio, from December 1978 to July 1983. His final assignments were as a RAND Research Fellow and on the staff at Headquarters U.S. Air Force at the Pentagon from July 1983 until his retirement from the Air Force on May 1, 1989. Captain Frank D. Lewis distinguished himself by heroism while participating in aerial flight as a B-52D Aircraft Commander near Hanoi, North Vietnam, on 28 December 1972. 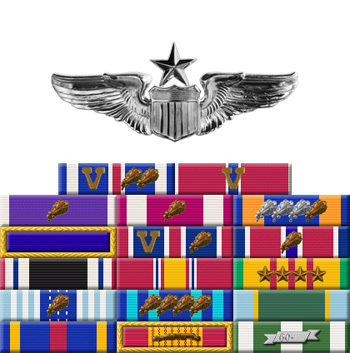 On that date, Captain Lewis participated in the history-making raids over North Vietnam and was instrumental in delivering his ordnance on the selected military targets. His courageous leadership through extensive surface-to-air missile attacks on his aircraft to the very heart of the opposing nation's stronghold contributed to the furtherance of national objectives. The outstanding heroism and selfless devotion to duty displayed by Captain Lewis reflect great credit upon himself and the United States Air Force.